Yes, Schmidt dyno hub (old style). 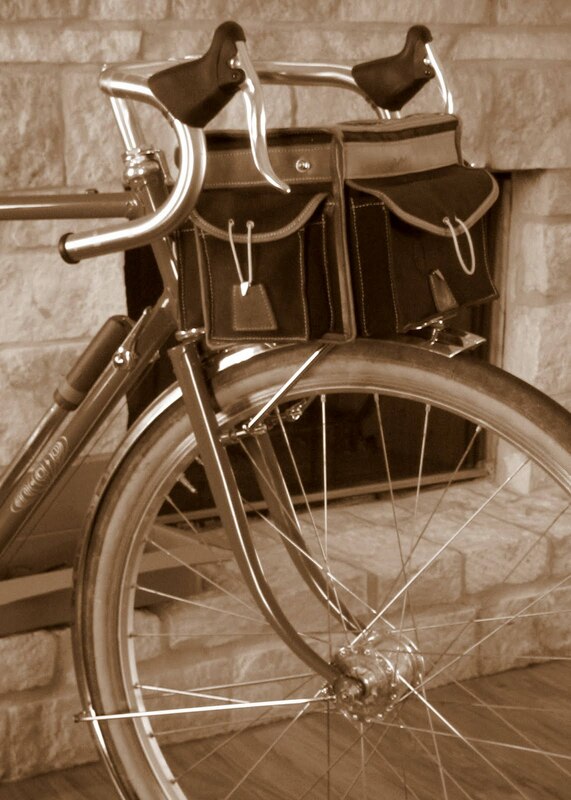 I had an Edelux headlight mounted on the front rack of my A. Homer Hilsen. Assuming there is room in front of my bag (when mounted properly), I plan to mount the headlight on the leading edge of the fender. Getting cooler all the time! Looks great! I find fenders can be quite frustrating, although if all goes smoothly they're not a big problem. Starting to look like a bike. It's almost as exciting as getting a new bike myself. Keep us updated. Hi- I like the rhythm of the words.The nostalgia of sepia. The different,stylish bag. Thanks for the post. I enjoy following your build. Keep it coming. Lookin' good; anxious to see the back half, too!